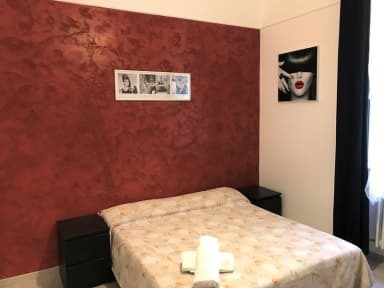 Guesthouse Paradisio i Roma, Italia: Bestill nå! Guest House Paradisio has an ideal location near the Termini train station in central Rome. There are 3 brightly decorated guest rooms - one double or twin room, and 2 triple rooms, one with shared bathroom, and one with private bathroom; Wi-Fi, air conditioning, heating, microwave and hairdryers. Guest House Paradisio is conveniently situated next to Rome's biggest transport hub, and with excellent transport links across the city. You can be at the awe-inspiring Pantheon or the glorious Trevi Fountain in just a few minutes. 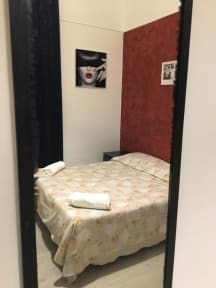 Fun and friendly B&B in central Rome! **Breakfast is not included but we offer FREE Coffee & Croissants every morning! !